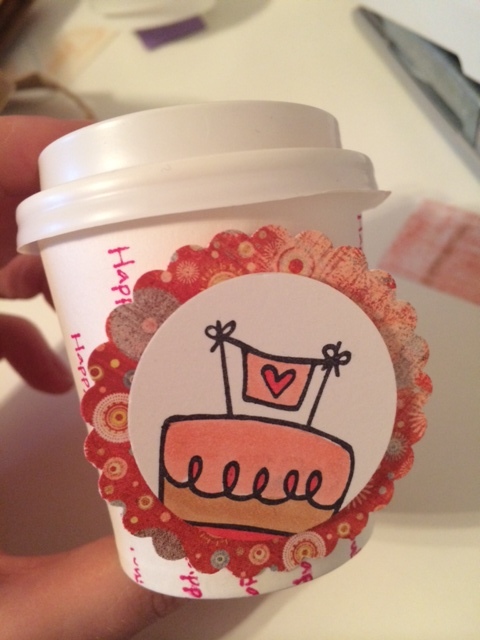 Love these little coffee cups to decorate. 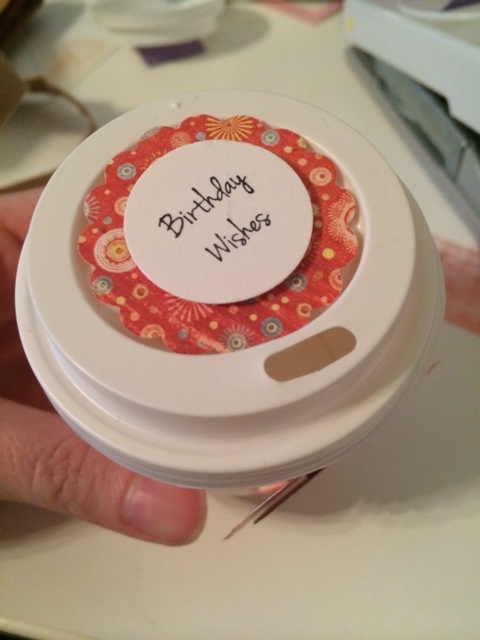 Makes a cute, easy, quick little holder to put a small gift in. Working from dawn to dusk getting ready for the Novi, MI show. Bringing our Handmade in MI stamp! They are the cutest and best. 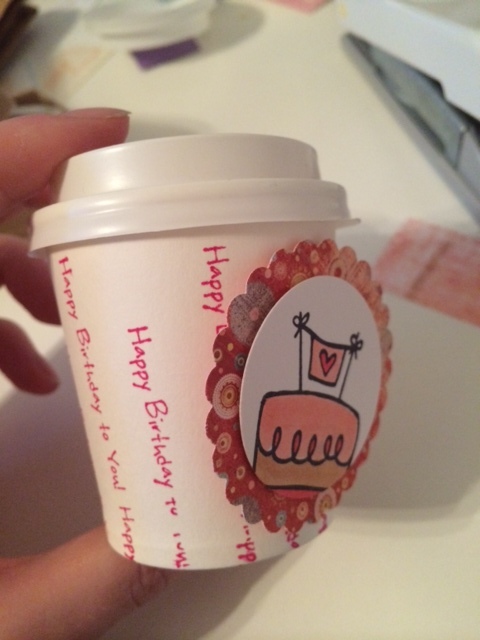 Love the birthday cup!